……True passion for the search of the quality and the interest for rediscovery of works and composers unjustly forgotten, such as Xaver and Philip Scharwenka, Clara Wieck, Fanny Mendelssohn, are the things that unite the members of the Nuovo Trio Parsifal, Patrizia De Carlo, violin, Emilia Slugocka, violoncello and Anna Paola Milea, piano. Since its foundation in 2001 this Trio regularly performs in Italy and abroad, receiving everywhere unanimous approvals of audiences as well as critics. In 2003 they performed in Bucharest at the Italian Cultural Institute. The same year they went on tour to Peru and Colombia upon the invitation of the Italian Cultural Institutes of Lima and Bogotá. During this tour the trio performed in famous venues such as the Teatro Antonio Raimondi in Lima, Teatro Colon in Bogotá, Teatro Fundadores in Manizales. On this occasion the members of the trio also gave a master class at the Escuela Superior de Musica Luis Duncker Lavalle in Arequipa (Peru). The Trio attended a master class about tango and Piazzolla held by Master Hugo Aisemberg at the European Academy of Music and Performig Arts “Piero Asaro” in Rome. Several Italian Cultural Institutes end Italian Embassies all over the world invited the trio to perform. The Trio was awarded as the best performer in 2005 by the cultural association “Il Fitto” in Cecina (Livorno). In 2017 the Trio was awarded with a Silver Medal at the Global Music Awards. 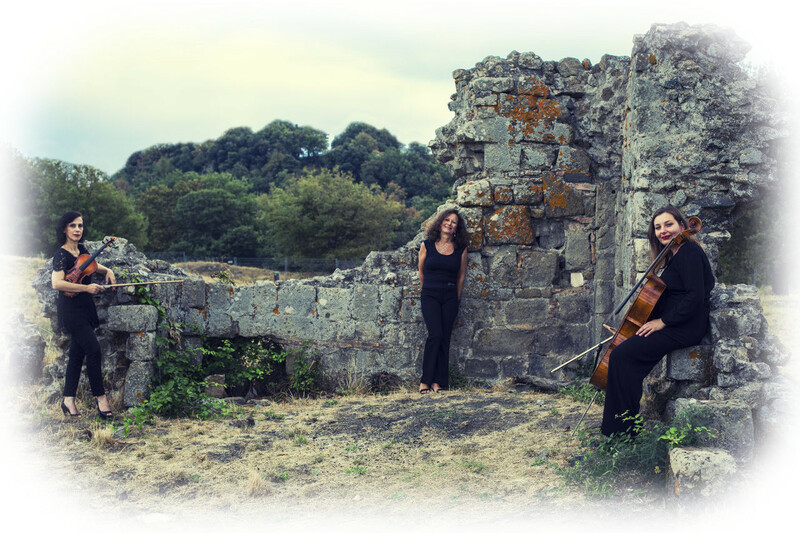 In 2018 the Trio recorded the cd “Invisible Landscapes” for the label BAM Beyond Any Music. The repertoire of the Nuovo Trio Parsifal ranges from classical period to the music of the 1900s including the Italian contemporary music.